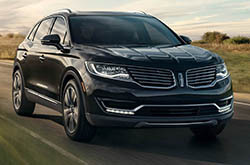 The Lincoln MKX has long been a popular model among luxury SUV shoppers. Featuring bold lines, innovative technology and a powerful engine, the Lincoln MKX continues to dominate its segment. This model year, the Lincoln MKX is being fully redesigned to feature an even more attractive exterior style, as well as new interior amenities that are sure to impress those looking for luxury cars near Dallas. Available in three trim levels: Premium, Select and Reserve, the all-new 2016 Lincoln MKX near Dallas offers a host of wonderful features that accentuate its luxurious nature. Looking first at the Premium trim, this model of the SUV comes with HID headlamps with LED lighting, LED taillamps, a split-wing grille, rear parking sensors, heated exterior mirrors, chrome door handles, a heated driver's seat, a dual headrest DVD system and a 9-speaker sound system. The Lincoln MKX Select model adds leather-trimmed seats, ambient lighting, a power tilt-and-telescoping steering wheel, high gloss walnut swirl wood trim and 18-inch premium painted aluminum wheels. Finally, our 2016 Lincoln MKX review loves the top-tier Reserve trim, which comes with heated and cooled front seats, voice-activated navigation and 20-inch wheels. Two new Lincoln Black Label interior trims are also available on 2016 Lincoln MKX. Most reviews were also highly impressed with the SUV's Active Motion front seats and its new 13-speaker Revel sound system. Under the hood, the 2016 Lincoln MKX in Grapevine is available with a brand-new 2.7-liter turbo EcoBoost V6 engine that produces an incredible 335 horsepower. This new engine is a perfect marriage between power and efficiency, and is optional on all three trims. Lincoln MKX's standard engine is no slouch either, providing 300 horsepower and 278 lb.-ft. of torque. Both engines are paired with a six-speed automatic transmission that also offers terrific fuel economy on the SUV. 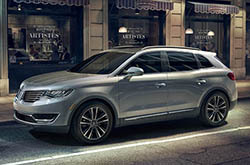 The all-new Lincoln MKX is now at Grapevine Lincoln. Stop by today to take this exceptional luxury SUV for a test drive. If you would like to learn more about the Lincoln MKX, keep reading our 2016 Lincoln MKX review below. When you compare the newest Lincoln MKX model alongside the 2016 BMW X3, Cadillac SRX and the Lexus RX 350, you'll determine that it trumps the competition. With progressive cabin features and an pronounced design, shoppers will love the Lincoln MKX. It's a remarkable value. Just compare its price to the vehicle options listed above and you'll undoubtedly see why so many Grapevine drivers love it. Take a look at our facts list to learn more about the Lincoln MKX - bullets underneath this text. We take the time to write reviews of the 2016 Lincoln MKX and other LINCOLN models because we want to help make your vehicle search less of a hassle. Not all car franchises in Grapevine are the same. We feel it's our mission to provide customers with quality vehicle reviews; this sets us apart from the typical franchise. Want to know about the 2016 Lincoln MKX's mpg and other specs? As your LINCOLN franchise, you can count on us for up-to-date information. 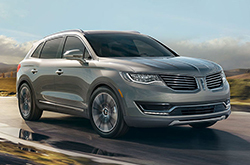 After viewing Grapevine Lincoln's review of the new Lincoln MKX, phone us to schedule time for a test drive and find out about great short-term lease offers!